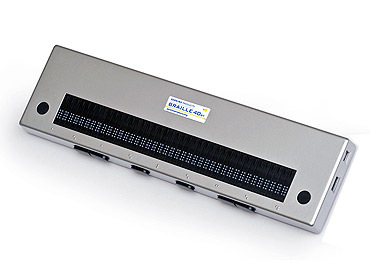 The new Perkins Braille 40 V5 looks and functions just like the version 3 we have all learned to love but with additional features. It can connect by USB cable or Bluetooth - compatible with iDevices. It also supports a USB thumbdrive so you can load a text file or book into the display and use the navigation keys to move through the documentIt also supports a USB humbdrive so you can load a text file or book into the display and use the navigation keys to move through the document.